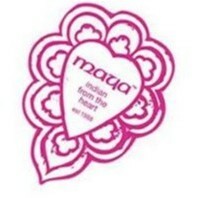 Maya Vegetarian joined our Mission to help provide access to “Clean Water for All by 2030”. This Mission was initiated by the United Nations. A big thank you to Maya Vegetarian’s team and customers for joining this extremely important mission on 19 March 2018. Our mission - to serve you the freshest and tastiest plant based Indian food, at reasonable prices. To be more than a little fanatical, about quality and value. From the freshly cooked seasonal vegetables daily, the house-blended spices, to the hand made artisan Indian sweets; the experience is honest, real & fresh! Nothing is artificial. The food is the freshest available. We do things the "old-fashioned" way, from stone grinding our dosa flour to hand slicing our fresh garlic and green chillies. Our recipes are authentic, no shortcuts, no compromise, just heritage. We aim to sell delicious and remarkable food of the highest quality.